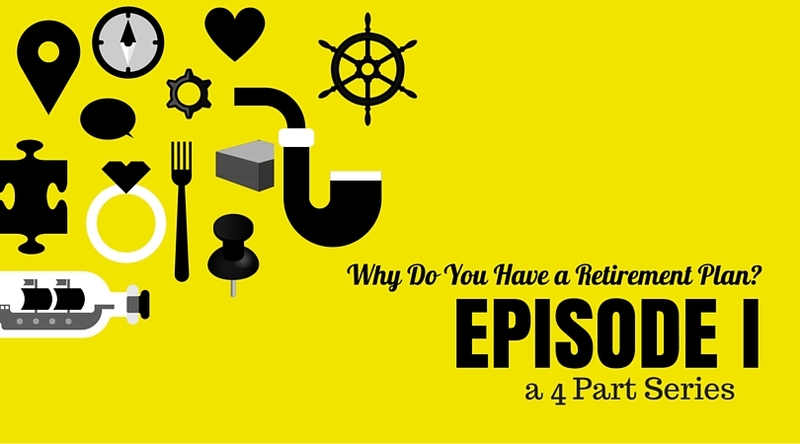 Episode I: Why do you have a Retirement Plan? There is a lot of talk these days about Retirement Plans, 401k plans, defined benefit plans, cash balance plans and how and why to use them! What are the fees, why you are paying fees, what the Department of Labor is requiring and so on…wow! There is so much to consider! What you’re not being told is that you may not be using your retirement plan correctly. What? Are you telling me that there is a right and wrong way? Well, yes….but it’s more appropriate to say that there is a right way and a better way. Businesses that are doing it wrong…well either know or they already were discovered. Allow me to at least help educate those of you who want to do it better. Why Do You Have a Retirement Plan? Let’s jump in with Episode I. Why are you using or running a retirement plan in the first place? No really, what’s the overall goal? Is it employee benefits? Is it planning for the business owner? Is it for amped up tax deferrals? Is it all of the above? Whatever the reason, there needs to be a clear objective. Then, you need to build it correctly, with your primary objective in mind-while considering all the pieces to accompany that objective. Why? When you begin with the end in mind, you are setting your priorities first. Now, you can clearly communicate the reason to your team to help you build the appropriate mix of plan choices. By the way, there are a ton of choices, please don’t try this alone! Now, with a common objective, your team of advisors can help you properly build the plan to fit your goal, and incorporate the proper pieces of the plan requirements. The goal is having a plan that is properly built all for the stakeholders involved: Owner, company, employees and everyone’s families. So, do you know how your plan is built? Does it fit your objective or the reason you need/want to keep it going? Take this time now to define why you really have a retirement plan in place. List all of the reasons for it or why it’s worthwhile to continue it. Stay tuned in for the next episode where we cover Plan design a bit more, which then you can compare your actual design to the reasons you have a plan in the first place. Securities offered through LPL Financial. Member FINRA/SIPC. Advisory Services offered through HighPoint Advisor Group, LLC, a registered investment advisor. HighPoint Advisor Group, LLC and OnPath Financial are separate entities from LPL Financial.